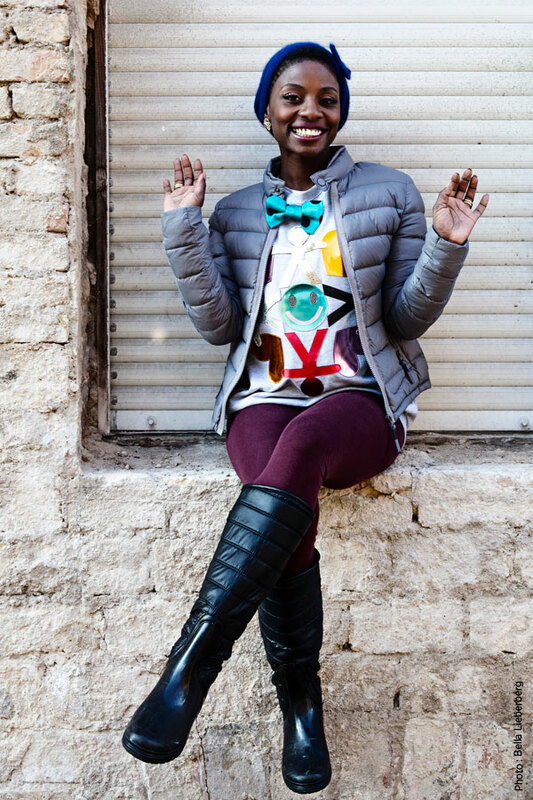 Where there’s dancing going on in Berlin, Nikeata Thompson is usually not far away. The trainer and choreographer organises dance sequences for videos and events for clients like Peter Foxx to the Friedrichstadtpalast (Berlin’s show palace), as well as being the star on every dance floor. Which is the most important sense for you? Wow. That really is a hard question, because there’s no sense you would really want to do without. I think I would probably choose to keep the sense of HEARING if I really had to. I simply love music. Music can accompany people in good times, and comfort them in bad. The idea of not being able to hear music anymore is terrible! I was often confronted with the misconception that hip hop & dancehall are just vulgar dances for which you need neither training nor discipline. My vision was to show that hip hop & dancehall are very multifaceted and that you definitely need intensive training to be really good at these dance styles. You don’t need classical training to dance, but you need heart and discipline to make it! That was always my vision and I believe that with my own dance agency I could get close to turning it into reality. What tactic do you have to make the world a better place? I always try to be honest with myself and others. I listen to the people around me and if I can do a good deed, whether small or large – I am open to anything. I was a jury member at a dance battle two months ago in Berlin-Neukölln, sponsored by the younger dance scene. I took quite a few outfits with me and shared them out amongst the kids. You don’t usually get to see the sunrise as you’re usually still asleep, so I am going to go for sunset. What is the move for IWISHUSUN?